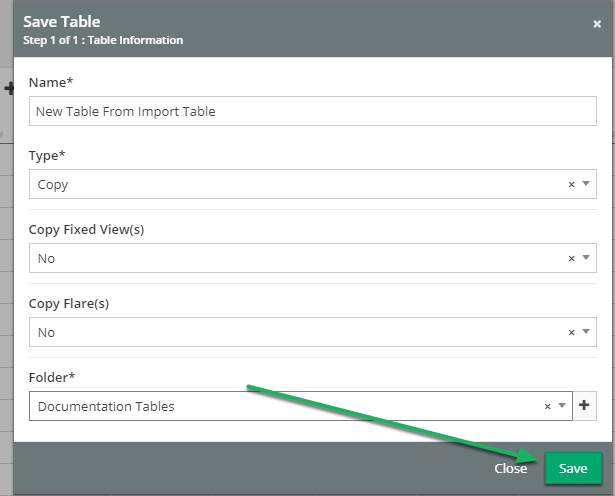 When choosing to Save As Table in the Fix tool, from within an Import Table, a From Table Import Flow is automatically created in the new Table. Running this Flow causes the new Table's data to be updated to match any updates the original Table received. Under the "Save" menu list, select "Save As Table"
Fill out the information in the "Save Table" modal and click "Save". Navigate to the newly created Table. Open the Flow tool by clicking on the Flow icon. The Import Data Flow has already been created for you! 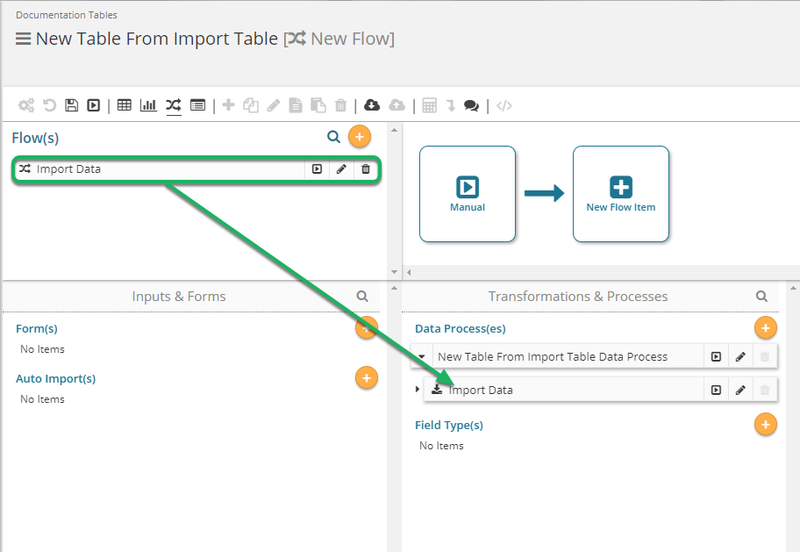 The Import Data Flow can now be manually run to import data from the original Table. It can also be scheduled to run at a specific time or triggered to run based on an event. 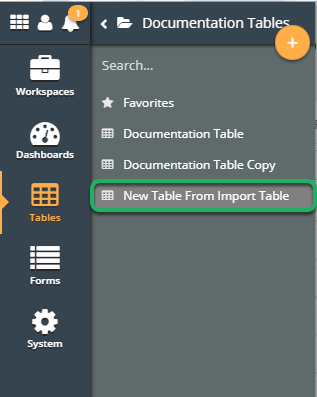 Next: When Creating a "From Table" Import Data Process, Users May Now Select the Fixed View to Import From.